In the wake of upcoming turn based artillery giant Worms: Revolution, the sheer vacancy of this genre becomes ever more apparent. The genre is populated almost exclusively by Worms, but there are a few other games which have made a name for themselves over the years. 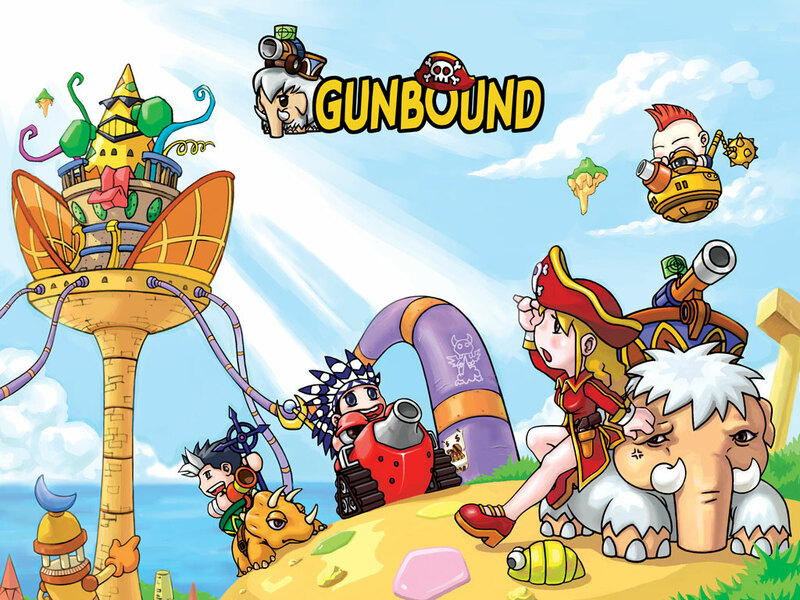 One such competitor which has maintained popularity throughout its existence is Gunbound. This free to play online artillery game just had its 7th anniversary since its inception in Korea back in 2005. Developer Softnyx’s approach to the genre includes an extensive item-based stat customization engine as well as several different “mobiles”, each with different elements and stats. At the heart of the game is aiming and shooting, but there’s something strangely deep about it too. Since its creation in 1995, Worms has been leading the way in the artillery shooter genre. With its slapstick humor, turn based strategy and tried-and-true formula, Worms became a brand with a massive following and history. Team 17, the developers of Worms, has remained small throughout however. The studio’s other franchise Alien Breed and a few Worms spin-offs (like Worms Blast and Worms Golf) are Team 17’s only true ventures outside the turn-based artillery action gameplay featured in Worms. Due to this, they’ve been called risk averse, they’ve been criticized for clinging to the Worms franchise, so of course their upcoming Worms revamp, Worms: Revolution, may be met with cynicism by some. We talked to lead designer on the upcoming game and 14-year member of Team 17 Kevin Carthew about working with the rest of Team 17 to revamp the Worms franchise. Few things are more impenetrable than the mighty castle. Around the 10th century or so, major countries defended their population from sieges with these massive stone structures. Typically castles were constructed several miles apart in strategically superior locations. In CastleStorm, they’re right next door to each other. Perhaps the real estate was good at the time or maybe the world of CastleStorm is just ridiculously crowded but things get cozy in this 2D tower defense. Your castle has a massive ballista on the front of it, which you use to mow down waves of ground forces and lay siege to the enemy castle. If the one-size-fits-all weapon weren’t enough, you can also dispatch your own forces and use magical abilities to affect the battlefield. Destroy the enemy castle or capture their flag to secure victory. Description: Effective at long range, the M102 can cripple opposing forces before they engaged, resulting in a safer skirmish.